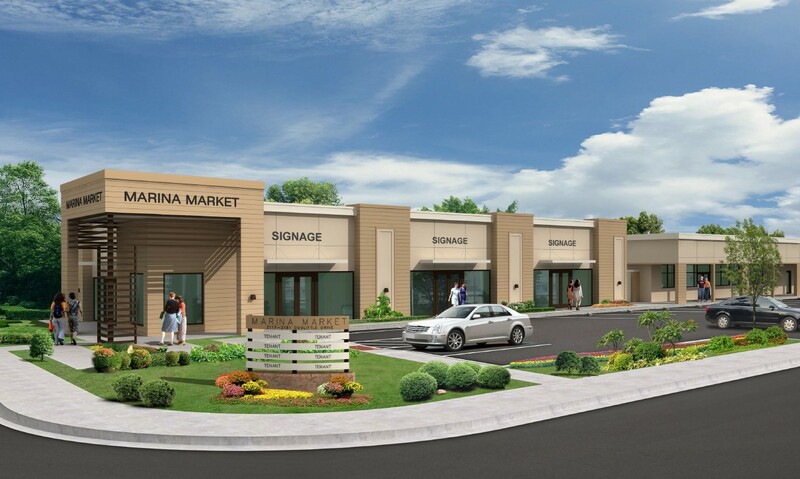 On Thursday, April 4, the City’s Planning Commission/Board of Zoning Adjustments voted to approve plans for a new retail building at 2181 Doolittle Drive between Marina Boulevard and Barrow Street. The commercial building would bring activity back to the corner, where a grocery store burned down in August 2015. The 3,539-square-foot building has a modern design with stucco, horizontal wood siding, and metal canopies. The structure allows for up to three tenant spaces and will share a merged lot with the existing four-tenant retail building to the north. New landscaping at the corner and along the street, a new monument sign, a new bike rack, and new parking lot paving will bring a fresh look and additional color to the site. The opening of new businesses at this corner is in keeping with the goals of the City’s Next Generation Workplace District Study, which aims to ‘humanize’ the industrial area and encourage new/improved retail services and improved landscaping and pedestrian amenities in the west side of town to serve both residents and workers in the area. Specific tenants for the spaces are not yet identified, but could include neighborhood-serving retail uses, such as a market, cafe, retail store, or retail services, such as a laundromat or dry cleaner. Located at the corner of Marina Boulevard and Doolittle Drive, the site is also along the Marina Boulevard Gateway corridor, travelling from I-880 to the Shoreline area. Over time, additional landscaping is proposed along this corridor following the redevelopment of the Shoreline. The Shoreline Project is proposed to include a new public park, hotel, restaurants, and housing, and is expected to attract more neighborhood-serving businesses to the area. To learn more about the Shoreline project, click here. Additional updates on this project will follow. You can read more about the retail project in this East Bay Times article.